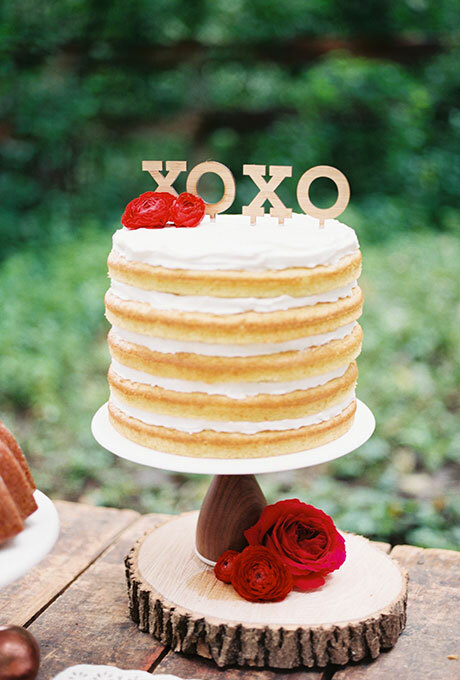 In today’s wedding world, it seems that most wedding cakes are unconventional. 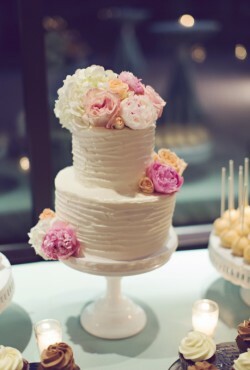 It’s almost unconventional to have a white on white wedding cake! 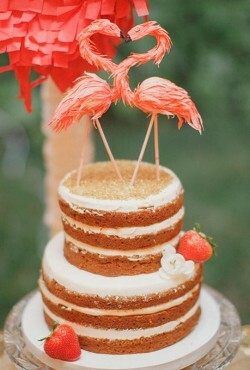 But in an unconventional wedding cake might refer to the design, the topper, or the flavors featured. Regarding design, one popular unconventional style today is the topsy turvy, asymmetrical design. Stacked cake layers give the illusion that the cake could spill over any minute, when in fact, the cake is balanced and level. 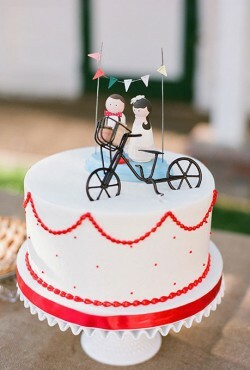 Unconventional toppers are another way that a couple may make their cake unique. 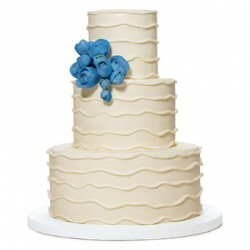 The couple who loves Angry Birds, for instance, can feature the adorable characters perched atop their cake. Can’t last a minute without your cell phone? There’s a wedding topper for that, too. Prefer Goth to Victorian? No problem. A talented baker can help you realize your dream cake. But you might opt for traditional design and toppers, and still find ways to be unconventional with flavors – even savory alternatives to wedding cakes, like “cakes” made of wheels of cheese, or layers of savory meet pies, might stand in for a conventional cake. So, express yourselves! In cake! And send us pictures. Right now it is full-on strawberry season here in the Midwest. It’s actually a rather short season as “fruit seasons” go, but we take full advantage of it, enjoying all things strawberry for a few wonderful weeks. And one of my favorite things has to be chocolate-covered strawberries. 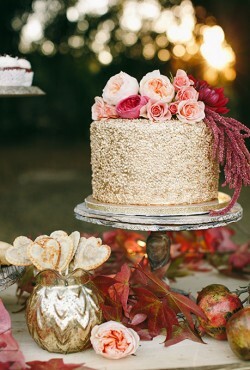 There’s just something so decadent about that combination. 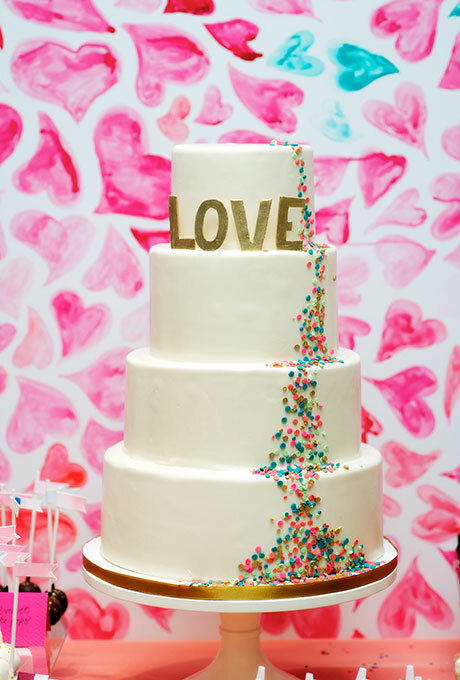 And it’s time for another sprinkle wedding cake! I can’t help myself – I’m totally in LOVE with these cakes. 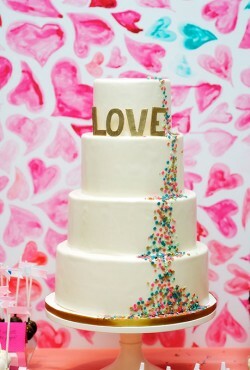 I can’t explain my obsession with wedding cakes adorned with sprinkles. They’re just so fun and whimsical yet still with an air of elegance. OK, I’ve been featuring a lot of naked wedding cakes lately – which is odd since I’m a frosting lover. 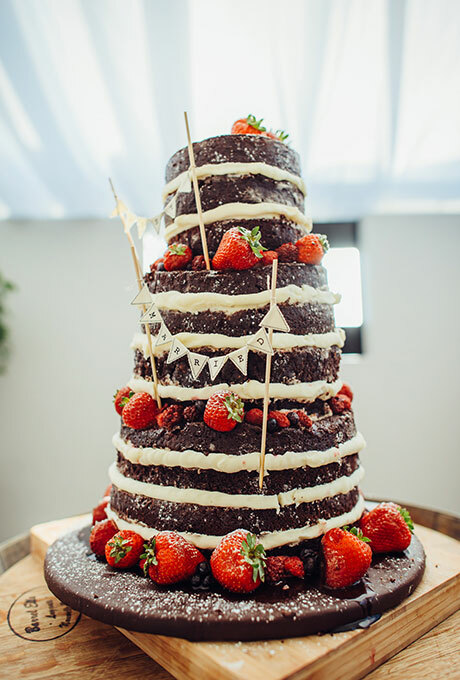 But today’s cake is THE naked cake of the season so far. First, it’s chocolate! 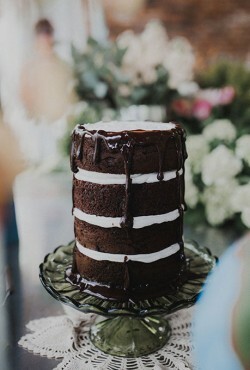 And second, there’s a cascade of chocolate glaze on top of the cake that takes it to another level entirely. I made a trip to a local greenhouse over the weekend to purchase my summer flowers. And while picking out my blooms, I spied the strawberry fields next door which got me thinking about that sweet summer fruit. Around here, strawberries hit their peak in mid-June or so, which means I’ll have a chance to enjoy some very, very soon! I really can’t get enough of wedding cakes with sprinkles! They’re just so darn whimsical and fun. 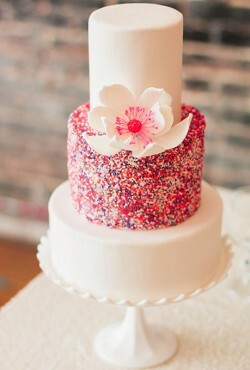 Today’s cake is particularly gorgeous with its light pink icing and just one tier decked out in colorful sprinkles. It really make the whole cake just pop!